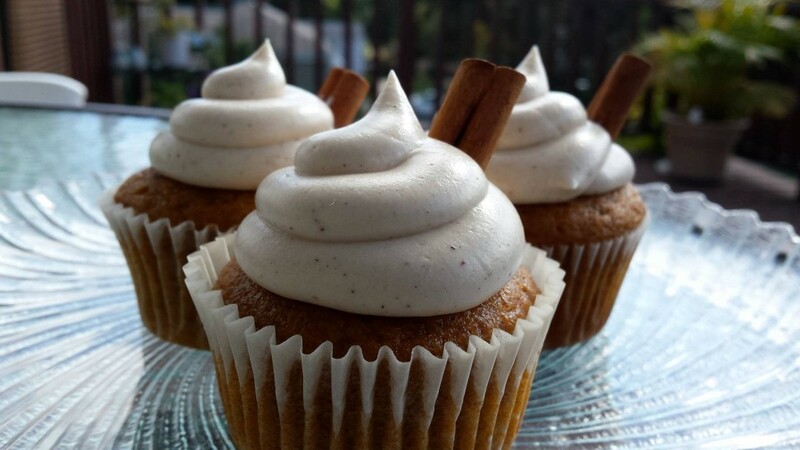 You probably think you’ve had a great cupcake- you may even have a favorite bakery that you frequent to get your sugar fix. You may also think you’ve had the best cupcake in the city- you haven’t. Let me explain. Katie Palamara of KatieDid’s cupcakes (you can see her website here) showed up with a trio of deliciousness- chocolate trifle, triple chocolate, and mocha crunch. These are just a few samples of the flavors- she even has vegan raspberry swirl! The cupcakes were meticulously packaged in a baker’s box with a see-through top. Each dessert was nestled in individual inserts within the box ensuring the cupcakes safe, and proper delivery. Three elements are required for a truly successful cupcake. First, the desserts must look delicious and beautiful- we eat with our eyes first, right? Next, the cake has to be moist, and light. Lastly, the buttercream/icing should be fluffy and flavorful. Check, check, and CHECK! I sampled all three, and was amazed at the quality- the only difficulty I had was choosing one that I liked the most. 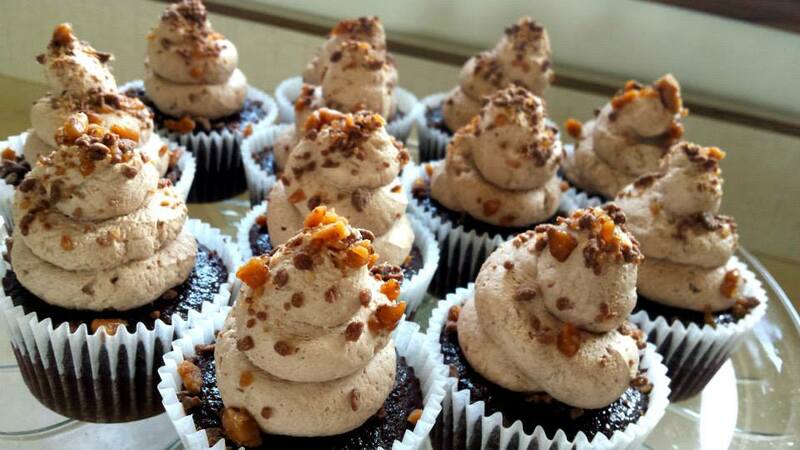 You haven’t had the best cupcake in the city unless you’ve sampled one of these gems. These signature cupcakes are prepared by a true artisan- someone who understands the importance of dessert. My advice? Try them all! I can’t wait to order more! 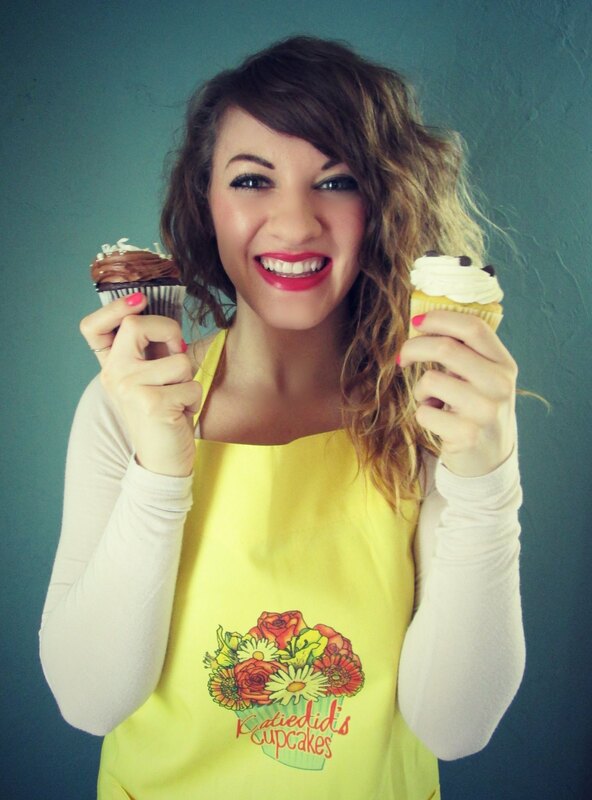 Check out all of my social media pages and website for more information about the business and my gourmet cupcakes! Always taking orders and can’t wait to whip up some cupcakes for your next special event! I agree!! I got a dozen for a Halloween party. I gave Katie complete creative control. Told her I wanted something gory. She came up with cupcakes with a bloody brain and shard of glass. They were delicious. They were a huge hit. My only mistake, not ordering enough.